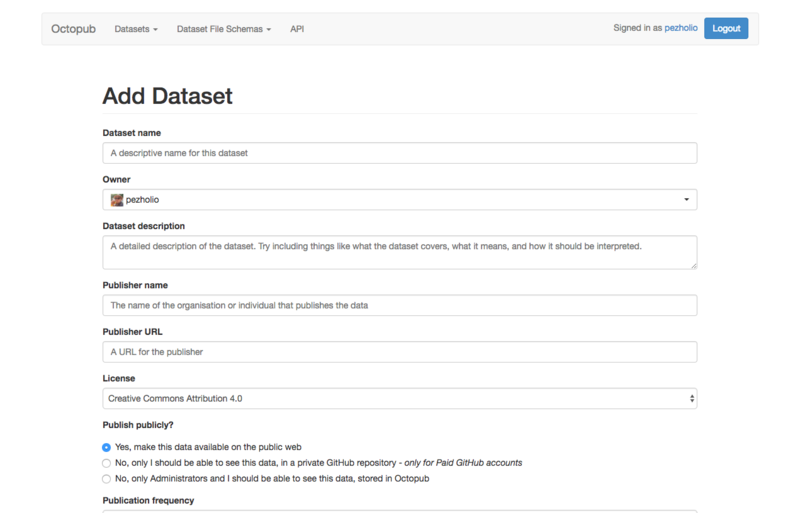 Creating a dataset using Octopub couldn't be easier. Before getting started, make sure you've got a Github account. If you haven't got one, you can sign up at github.com/join. Once you've got an account, follow along with our video tutorial or via the steps below. follow our simple step by step guide to creating your first dataset. If you’re not already logged into Github, you’ll be prompted to sign in to your Github account. 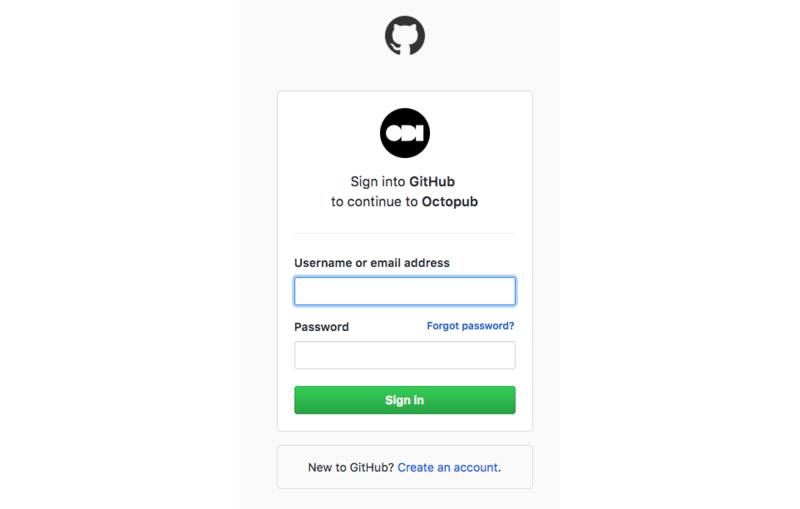 Next, click ‘Authorize application’.You’ll then be redirected to Octopub with a message telling you you’re logged in. The first thing you’re asked for is the title of the dataset. Keep this short, sweet and descriptive, telling users what the dataset is about. Now, provide the name and web address of the person of organisation who is publishing the data. Data users like this, so they know who to contact with any questions. For more information of open data licensing, see the ODI’s guide to open data licensing. You can also choose whether to publish your data privately or publicly. 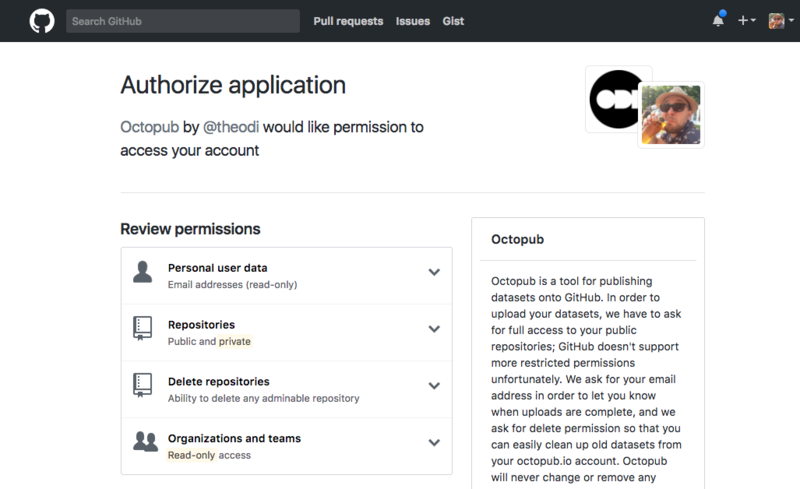 Only people with paid Github accounts can publish privately, so leave this to 'yes' for now. Now comes to nitty gritty part, adding the data. Choose a title and description for your data file, then click 'Choose file' to choose a CSV file to upload. Once the file has uploaded, you can scroll down and click 'Submit' to create your dataset. You'll then see a notice telling you your data has been queued for creation. Within a few minutes, you should recieve an email, with a link allowing you to see your dataset in all its glory! 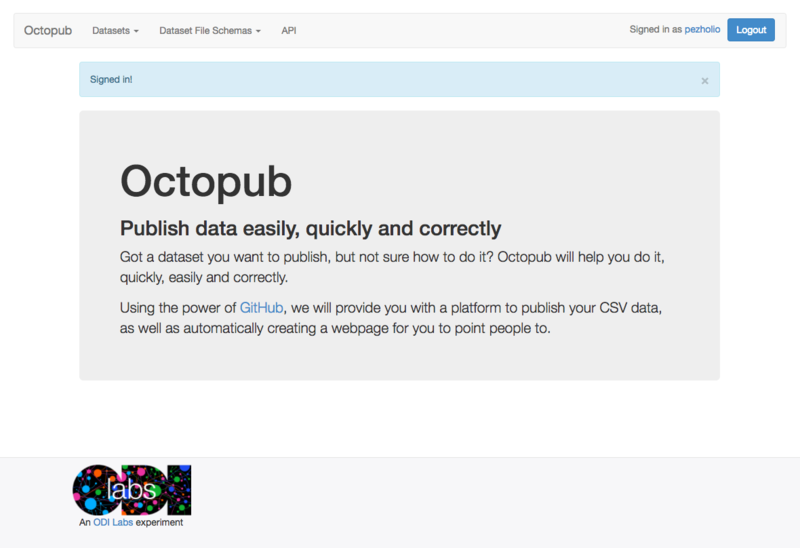 For more information and advanced topics, visit the Octopub wiki pages.